Dr. Phillip Tully, a native of Columbus, Georgia, received his undergraduate degree from Columbus State University. 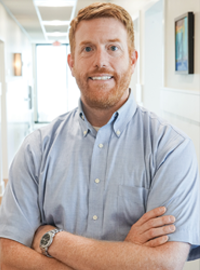 In 2004, Dr. Tully graduated from the Medical College of Georgia School of Dentistry in Augusta, GA. Dr. Tully is a member of the American Dental Association, Georgia Dental Association, Western District Dental Society, Academy of General Dentistry, Spear Study Club, and Rotary of Columbus. He actively pursues continuing education courses to keep up to date on the latest advances in dentistry. He attends multiple meetings throughout the year provided both through the GDA and Spear Study Club. He is on staff at the Medical Center as the chief of Dentistry. In his free time, he enjoys spending time with his wife and children. He is an active member of Edgewood Baptist Church. He is an avid outdoorsman and his hobbies include- hunting, fishing, gardening, and snow skiing. Dr. W. Newton Sharp received his undergraduate degree from Auburn University. Dr. Sharp went to dental school at UAB - Birmingham, AL. 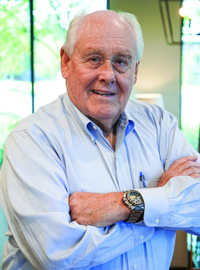 Dr. Sharp served 2 years in the Air Force as a dentist and went into private practice in August, 1969. He has been practicing here in Columbus, GA ever since. In his free time he enjoys playing tennis, exercise class in the mornings, loves to watch football, and spending time with his family.